1. Northeast Haryana- The northeastern parts of Haryana are located in proximity to Shivalik hills (also known as Churia hills). This region covers parts such as Ambala, Panchkula and Yamunanagar. 2. South Haryana- The southern parts of Haryana come in vicinity of Aravalli hills. This region is characterized by irregular plains and dry areas. 3. 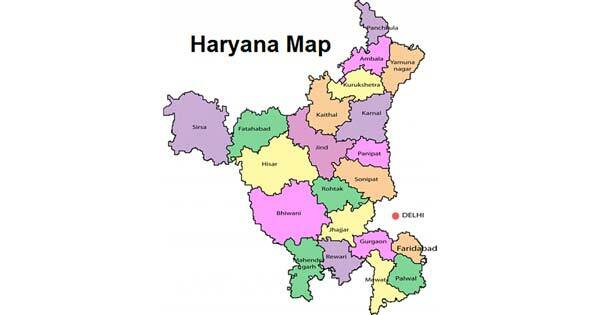 Southwest Haryana- The southwestern parts of Haryana consist of semi- desert sandy plains. This area shares boundary with the state of Rajasthan. 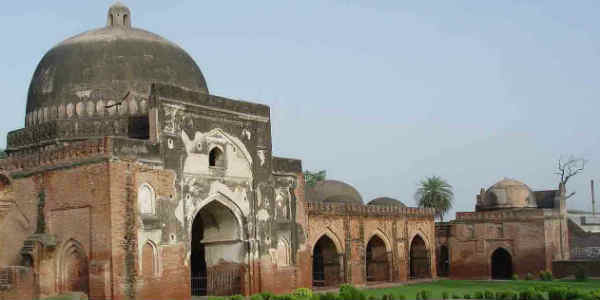 It consists of places such as Sirsa, Hisar, Mahendragarh, Fatehabad and Bhiwani. 4. Ghaggar Jamuna plains- A large portion of Haryana is covered by these plains. The plains are divided into two parts first one being higher portion known as ‘Bhangar’ and second as ‘Khadar’. Haryana is an agrarian state that nurtures and grows major crops such as rice, jowar, bajra, maize, wheat, barley, gram, mustard, cotton and sugarcane. The state is also a home to a lot of farmers who put their heart and soul every year to bring major yield in terms of agricultural produce. 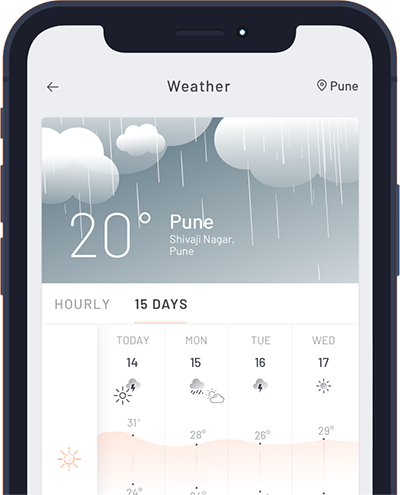 We all know that weather plays an important role in governing agricultural production of the country including winter rains in months of January and February. These rains hold a major stake in determining the crop yield for state. However, this year rains have not shown up for most parts of the state. More than half of January has passed away but no significant rainfall activity has been recorded over the state. As a result, most places are presently deficient, largely deficient or have been reported with zero rains. However, this is not for the very first time that rains have under played for the state. If we talk about past, then keeping aside the January month of 2017, when heavy rains lashed Haryana, February remained the most rain deficient month for the state. On the other hand, rains remained completely silent for the entire months of January and February in 2018. Similar situation was witnessed in the year of 2016 too, when rain deficiency over the state was recorded by a great extent. 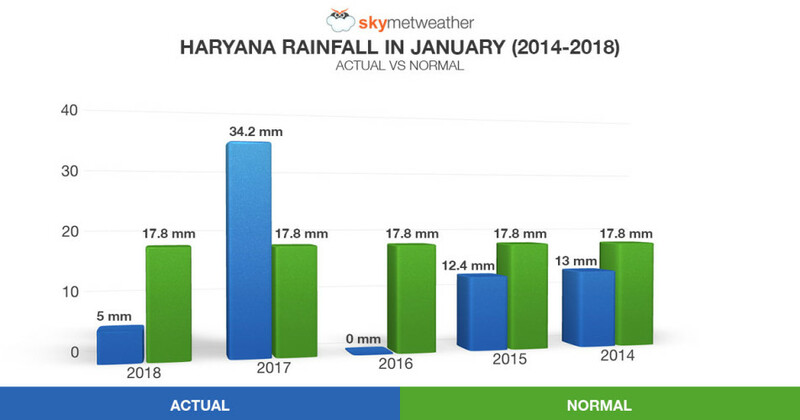 By looking at the above graph, we can understand that in 2014, the Haryana received 13 mm of rainfall against its normal of 17.8 mm. In 2015, it received 12.4 mm of rainfall as against normal of 17.8 mm. 2016 remained the poorest year in terms of January winter rains. Zero rains were recorded as against normal of 17.8 mm. However, this deficiency was covered up in 2017 when the state was largely rain surplus and received 34.2 mm of rains as against 17.8 mm of rainfall, but again in 2018 rains significantly reduced to 5 mm as against 17.8 mm of normal rains. As of now, the northeastern parts of Haryana including Panchkula, Ambala and Yamunanagar have been reeling under 90% to 100% rain deficiency. However, few pockets in semi desert area including Hisar and Sirsa have performed quite satisfactorily. Hisar has remained rain surplus by 23%. On the other hand, the largest parts of Ghaggar Jamuna plains have remained poor in terms of rain. It is only some pockets such as Jind (deficient by 32%) and Kaithal (deficient by 6%) that have performed fairly well with rains. Now in the coming days, a prolonged wet spell is expected over the state. Starting January 20 onward, rain and thundershower activities will commence over the state and will continue till January 26. The three consecutive days of January 22,23 and 24 will record good rains over the state. Overall intensity of rain will oscillate between moderate and even heavy at some places. There are also chances of hailstorm at one or two places. Further, eastern parts of the state will perform comparatively well than western parts of the state. Likewise, North Haryana will do better with rains than South Haryana. These rains will pave a great way in pushing out deficiency to some extent that has been taking over the state for long time now. Moreover, moderate rains will help major crops of the state as mentioned above to grow and nurture at a faster pace. However, we are just keeping our fingers crossed that hailstorm activities do not result in any major crop damage.